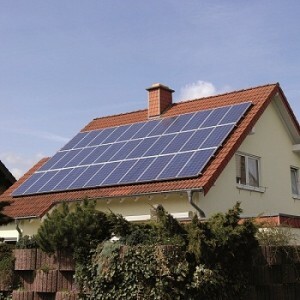 There is a lot of hype lately about using solar panels to generate electricity for home use. I am seeing a lot of solar panels going up on residential home roofs in the area. But does it really make economic sense to install photovoltaic solar panels? I decided take a look at the feasibility of using this solar technology. I thought I would start with a laymen’s explanation about how solar panels generate electricity. Individual solar cells are electrically connected and packaged into a frame to make a solar panel. A grouping of solar panels make up a solar array, what you typically see on a rooftop. The individual solar cells in the solar panels are made of a silicon sandwich with P-silicone on the bottom and N-silicone on the top. Pure silicone crystals will not conduct electricity, so they have to be infused with impurities, in this case, phosphorous for N-silicone, which has a negative charge, and Boron for P-silicone, which has a positive charge. This silicone sandwich creates an electric field at the juncture between the N-silicone and P-silicon due to the interaction of negative charges from the N-silicon with positive charges from the P-silicone, with a negative charge on top and a positive charge on the bottom. The electric field causes the silicone to act as a semiconductor, or diode, which allows electrons to flow in one direction only, from the N-silicone to the P-silicone, via an external pathway provided by conducting wires connected to the top and bottom of the solar cell. The size of the difference between the negative and positive sides determines the voltage of the solar cell. When the energy from sunlight, measured as photons, strikes the top layer N-silicone, it knocks loose electrons with a negative charge which are attracted to the positively charged P-silicone. The movement of electrons from N-silicone to P-silicone creates an electric current, or electricity, which is the movement of an electric charge. The electric current is drawn off by conducting wires at the top and bottom of the solar cell. This electric current can be used to do work, for example light a light bulb or run an electric motor. The current, together with the cell’s voltage (which is the result of its electric field), defines the power (or wattage) that the solar cell can produce. The really cool thing about solar cells is that there is no loss of electrons; they just circulate from negative to positive charge in a closed loop. As long as there is energy from sunlight to knock loose electrons, the solar cell will produce a flow of electrons from negative to positive charge, or an electric current which is what we call electricity. Of course eventually the components will wear out, but the typical lifetime of a solar cell is about 20 years. There is more to the system than just the solar panels. The electricity generated by solar panels is DC or direct current, the same current provided by batteries. Since the equipment in your home requires AC, or alternating current, an inverter is necessary to convert the DC to AC current. The inverter also prevents the flow of electricity from the solar array into the utility power grid when the grid goes off line, preventing injury of power company employees who are working to get the power turned on after an outage. 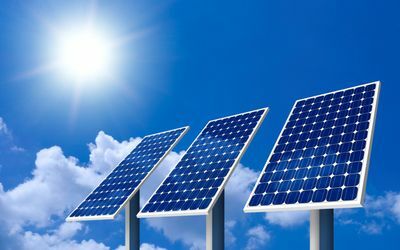 Most photovoltaic systems are connected to the utility grid, so you will also need an electric meter that will measure both the flow of electricity from the solar array into the power grid when it is producing more electricity than needed, and electricity from the grid into your home when the solar array is not generating enough power for your home. This is called net metering since the meter is monitoring the net flow of electric current, and the dollar amount on your electric bill is the result of the net effect of electricity provided to the grid by the solar array, and electricity that flows into your home from the grid. There are also disconnect switches for DC and AC power. The solar array can also be connected to storage batteries, however, the current battery technology does not make this economically feasible. 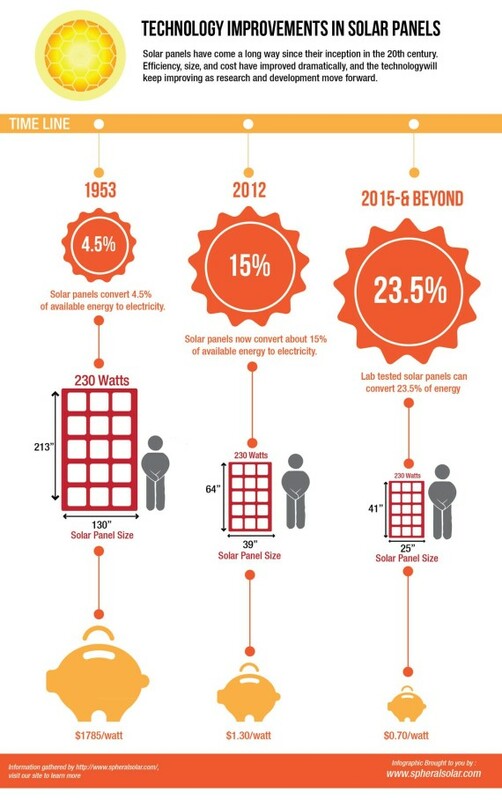 As the cost of electricity from utility suppliers increases, and battery technology improves and becomes less costly, it is likely that solar arrays will be connected to both the grid and to storage batteries to decrease the cost of electricity. Now that we know how the solar cell works, let’s discuss solar cell efficiency. Unfortunately, with today’s technology, the average solar cell is only about 18% efficient. This is due to the fact that the silicone solar cell can only absorb a certain wave length of light, and not the full spectrum of sunlight. Also, the average amount of sunlight available per year will determine how much electricity can be produced. It should be noted here that even diffuse sunlight, as on an overcast day, can produce an electric current in a solar cell. There are also more controllable factors, such as a southerly orientation of the solar cells, and the correct angle to the sun, which is the same number of degrees as the latitude where the solar cell is located. It is very important that none of the individual solar panels are shaded from the sun, since this can drastically reduce the efficiency of the entire solar array. Typically, the solar array is installed on the roof of the home, facing south, with an angle to the sun that is the same number of degrees as the latitude location of the home. Since these systems are not great to look at, some homeowners have installed them on the roof of a large accessory building with the right orientation to the sun, and not too far away from the electric meter. The solar array can also be installed on a south facing and angled metal rack anchored to the ground. There is additional installation expense for both of these alternative locations. The advantage to the ground rack is that the solar panels are easily reached to clean off debris or snow, and the angle of the solar panels to the sun can be changed from winter to summer(+/- 15 degrees) to optimize power generation. Peak power is produced when the sun’s rays are perpendicular to the surface of the solar panels. 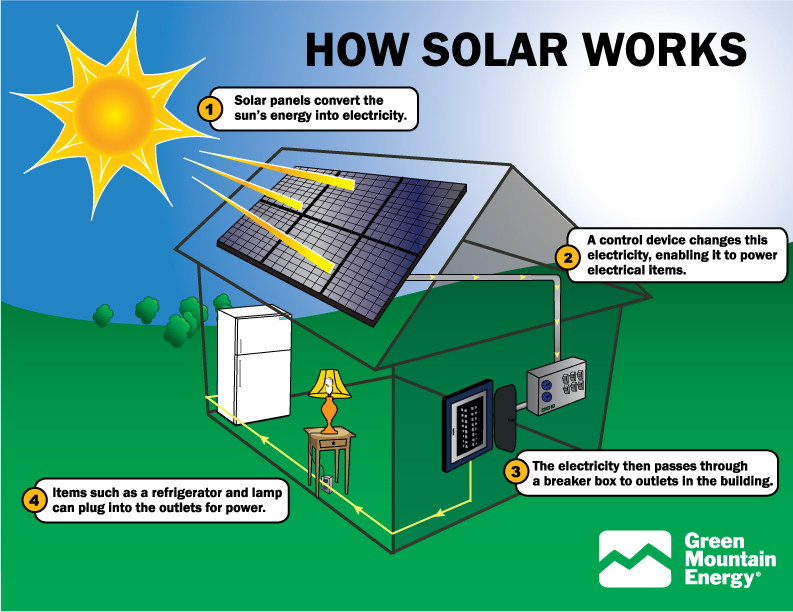 Well, there you have it, a layman’s explanation of how solar panels generate electricity. Please hold on to this newsletter for a reference to refer to when reading my next newsletter that will discuss the return on investment of photovoltaic systems. I will answer the question, “what’s in it for me”, that is, does it make economic sense to install them.